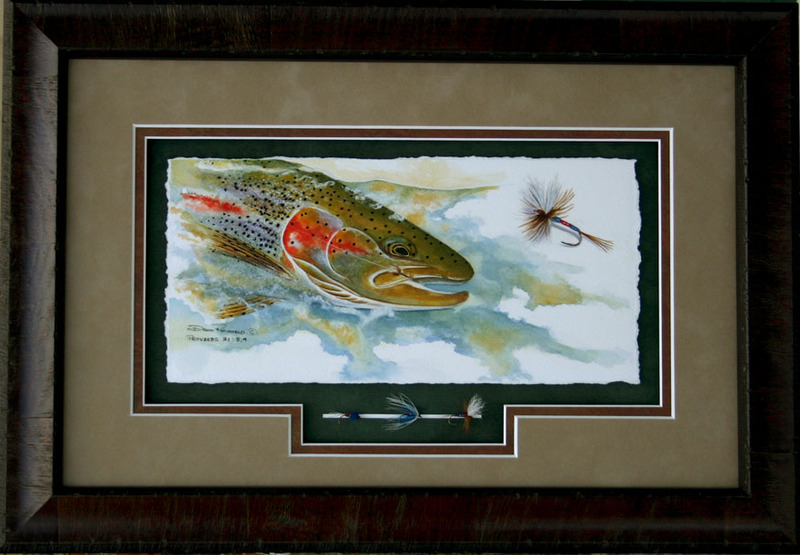 David Ruimveld has been creating images of sporting & wildlife art using acrylic paints in a watercolor style with many washes for the past 22 years. 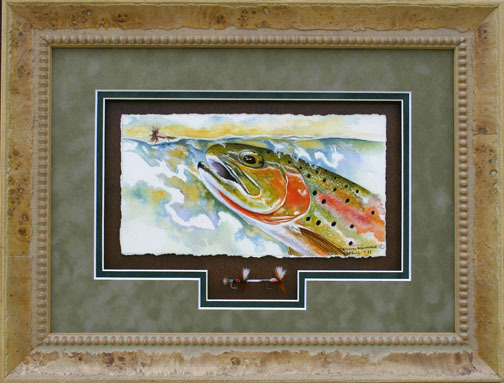 His subjects include angling, upland, famous river maps, and bird dogs. 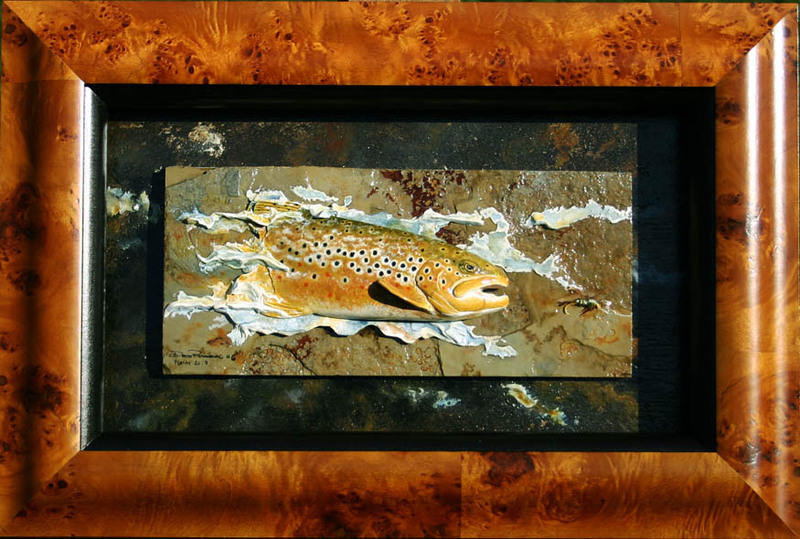 His original paintings and S/N prints can be found in many galleries, fly shops, and private collections through out the USA. 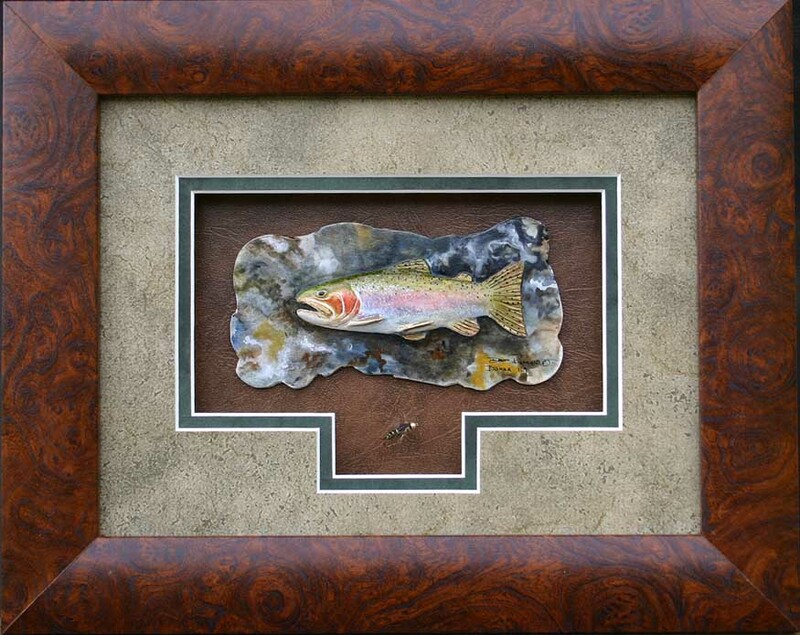 He gets his inspiration while fly fishing & hunting in various places he has traveled to. 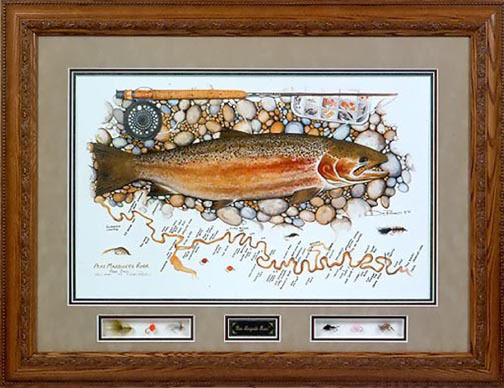 The River Map paintings are one of his signature styles that brings back many of those special moments spent on a favorite water. Maps in general like to be explored, studied, and talked about. 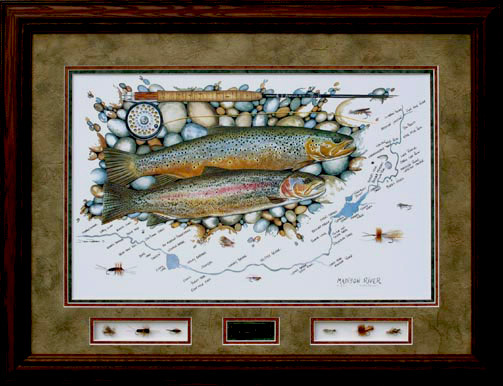 The River Map paintings rekindle memories and start many conversations about the times spent on the waters. 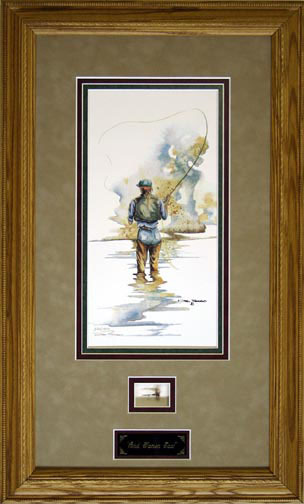 Commissioned paintings of your favorite waters can be created by the artist. 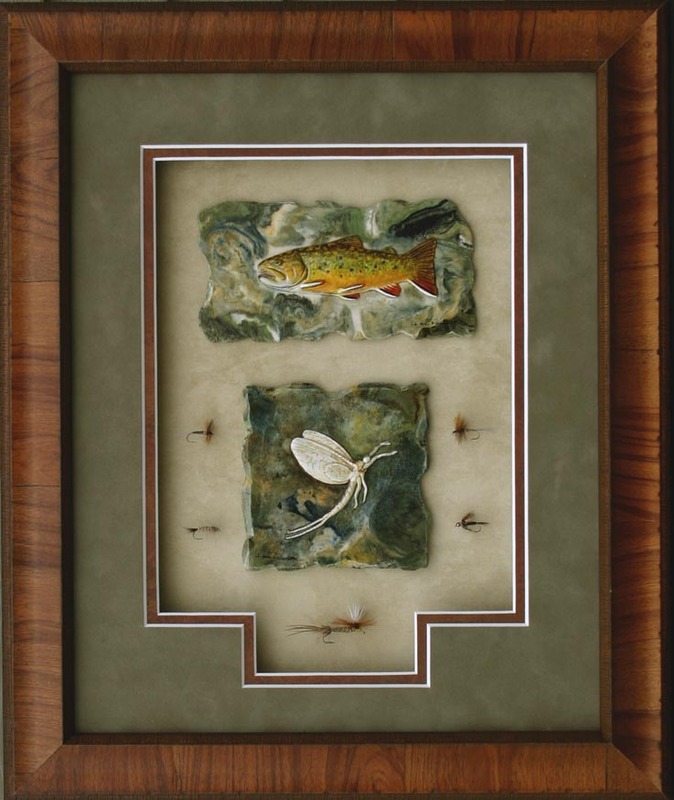 Shaping clay into his paintings creates a new dimension to David’s art. Some of the sculpted pc’s are recreated in castings, are very limited, and each are hand painted by the artist. These are considered original works of art. 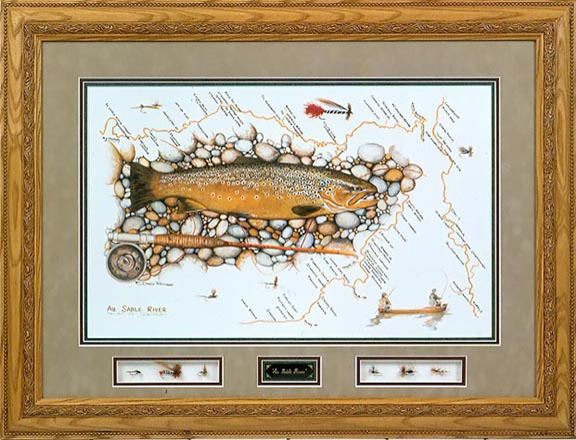 He continues to support Trout Unlimited, Ducks Unlimited, Federation of the Fly Fishers and many more conservation organizations with his artwork. Signed & numbered prints of some of the original paintings are available on acid free paper or as giclee prints on water color paper or canvas in very limited editions. Commissioned paintings are now being accepted.